A shade cloth is used in a greenhouse for two reasons. First, to protect plants from getting burned by intense sunlight. Second, shade cloth is a way to help keep a greenhouse cooler during the hot summer months. Shade cloth can be made from different materials but all shade cloth can be purchased in different filtration ratings. In other words, a gardener can select a percentage of shading that will best fit his or her needs. In most cases, a shade cloth will shade 50%, 60%, or 70% of the sunlight. 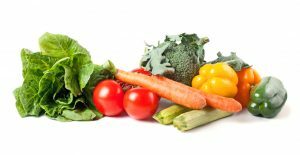 The higher percentage (70% or greater) is usually reserved for situations where the greenhouse is receiving an abundance of intense sunlight; such as a south-facing greenhouse that receives full sun in the summer months. Shade cloth is usually sized according to the particular greenhouse. In other words, shade cloth is usually custom built for a particular situation. The shade cloth has grommets placed every four feet for hanging on hooks or guide wires depending on the application. A closer look at some of the shade cloth options will give greenhouse gardeners an idea of which shade cloth option will work best for them. Aluminet is one of the most affordable and effective shade cloth materials available. Aluminet can be hung on the interior of a greenhouse and placed flush against the walls or ceiling. Aluminet is unique because it not only shades sunlight but it also reflects heat. 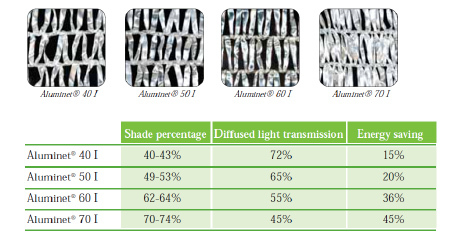 The biggest advantages of Aluminet are that it not only shades the light but also helps to effectively cool the greenhouse by reflecting a portion of the heat away from the structure. Aluminet is very cost effective and a great choice for home hobbyists. If aesthetics are important (as they are to many home gardeners), the interior hung shade cloth does not take away from the natural beauty of the greenhouse structure. 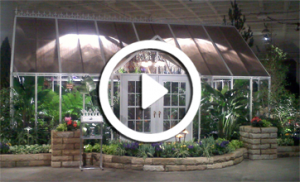 Black nylon shade cloth hung on the exterior of the greenhouse is another shade cloth option. The hooks for the grommets are on the outside of the structure and the shade cloth is hung around the exterior of the greenhouse. This type of shade cloth costs about the same as Aluminet and does a good job of filtering the light. Although the greenhouse will be cooler than without the shade cloth, due to its black color, this type of shade cloth does little to reflect the heat away from the structure. As can be imagined, a shade cloth hung on the exterior of the greenhouse will affect the aesthetics of the greenhouse. There is also some additional maintenance with exterior hung shade cloth as they tend to accumulate dirt, dust, etc. Motorized shade cloth systems are so expensive they are generally reserved for large, commercial greenhouses. These systems have guide wires where the shade cloth is attached. When needed, a small motor pulls the shade cloth into place. Many commercial greenhouses utilize guide wires without motors as well. Similar to opening or closing a shower curtain, a large span of shade cloth can be opened or closed within the greenhouse. The biggest disadvantage of motorized or manual guide wire shade cloth systems is the shade cloth is never flush with the walls or ceiling of the greenhouse. This means that the heat is still entering the greenhouse. However, there are some situations where it is necessary for the shade cloth to shade a section of the greenhouse. For example, seedlings or light sensitive plants can be protected from intense light by being sectioned off with some shade cloth. For most hobbyist growers finding a shade cloth that fits the budget and still performs up to par are the priorities. Gardeners with glass greenhouses which have south or west exposures almost always need to implement some sort of shade cloth. If reducing heat in the greenhouse is as important as eliminating hotspots in the garden a product like Aluminet would be a good fit. Regardless of the particular material chosen, a shade cloth is the best way to keep plants from being harmed by the intensity of the sun during the summer months. while preserving quality light transmission.